Autoimmune diseases like multiple sclerosis and lupus can be due to toxic metals such as mercury, aluminum and lead. These heavy metals replace the normal, balanced molecules in the myelin sheaths, leading to an increase in free radicals. 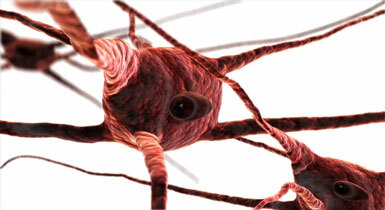 The free radicals damage the myelin sheaths, resulting in multiple sclerosis. Because the immune system recognizes the newly damaged tissue as foreign, it attacks it, resulting in an autoimmune process that further damages the body. Toxins like mercury and lead can and do cross the blood/brain barrier, resulting in a wide variety of symptoms including fatigue, blurred vision, unsteady gait, hearing loss, tiredness, tingling sensations on the skin, impaired smell or taste, insomnia, loss of appetite, depression, short-term memory loss, tremors, muscle weakness in the limbs and headaches. If you have multiple sclerosis, you will see that all of these symptoms of heavy metal toxicity are the same as the symptoms of the disease itself. An HTMA test will help you find hidden toxicities, help you identify the source of exposure to heavy metals, and will suggest ways to balance the essential minerals and eliminate the toxic metals. It is important to note that may people get better through detoxification when all else has failed them. Thank you for visiting our page Is it Multiple Sclerosis or is it Toxic Metals?